If you had any idea how to rank your website, or a webpage on Google, or any other search engine, the natural proclivity is towards using spam sites and other black-hat SEO means. A brand with no organic traffic at its launch will mean nothing to the campaign manager, so they always tend to take support from those ways when launching their platforms. But today, Google is working on a very sophisticated search engine organic ranking algorithm known as Latent Semantic Indexing, and other search engines working on their own relevancy measuring processes. If you use black-hat SEO or any other spam or irrelevant method to rank your website, there is a great chance you will get blocked, penalized or Sandboxed by a search engine. Not only you will lose your ranking significantly on a search engine, you will lose your traffic and ultimately sales. So if Google or any other search engine Sandboxes you, there are two possible scenarios and outcomes. They will reconsider about your methods, and if they find you fit the shoes of a spammer or SEO exploiter, you will be sandboxed. You can also ultimately get your release papers and out of the Sandbox, but if it turns out you are using spamming methods, then things are far worse than you may be thinking about them. SEO is a very risky business, and if you want to gain some positions in search engine ranking, you need to use relevant and legitimate methods instead of black-hat or gray-hat SEO. Try to use white-hat SEO with unique content and other digital marketing tactics. Google and other search engines are completely aware of different SEO tactics that are used by professionals. So when a newly launched website is indexed for ranking, it is treated as a special case in their algorithms. Google Sandbox methods are not static, they are going to be upgraded over a period of time. It is more like an influence on search engine ranking, with algorithm coming from a department of dedicated mathematicians. Sandbox has become a well-known expression to define the ranking factor for newly launched sites. It helps new sites to optimize themselves on the principles of Google algorithm with the fear of Sandboxing on their heads all the time. 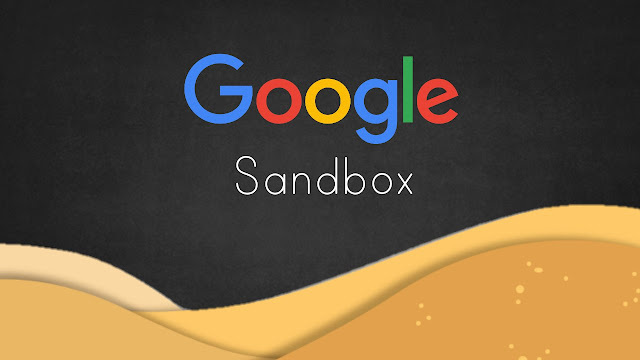 Once you get into Google Sandbox, it can take months at least to get yourself out of there. With that said, let us discuss top 7 reasons why Google can put your website in their Sandbox. When writing content on your web pages, you need to use keywords very carefully. Make sure you don’t stuff keywords in your content. When you use relevant keywords in long-term sentences, it is one of the best ways to rank your site organically. A content should always be genuine on a website or a blog post. If you are practicing plagiarism on your blogs and web pages, your website can be sandboxed on Google or any other search engine. So always put some effort into developing an original and genuine content for your website. To enhance search engine optimization, SEO analysts and experts use the method of backlinking on sites with high domain and page authority. If you are backlinking on websites with low domain and page authority, the chances of your website being sandboxed are increased to a great extent. So always try to put links on a website with the high page and domain authority. But doing so will require permission from web owner. So try to take his consent first before making any move. Try to produce genuine content on every page of your website. Sometimes it may seem a big and time-consuming task to write content and find new free images for each page of your website. But trust us when we say it’s worth it, as Google can sandbox you for using old and duplicate content all the time. To be very honest, nobody likes to be redirected to another page from a website you just clicked after thinking it to be the relevant place to buy a certain product. This practice is not only a spam but also an unethical way to get clicks. A rich snippet is structured data hike that site optimizers can use to add in their HTML. It allows them to be visible on search engines, which understand them better. This practice is now considered a spam on Google and any other search engine. Cloaking is another way to deceive a user to get clicks on a search engine. Doing this practice can end you up being Sandboxed in Google. Author of this content is a great blogger Yousuf A. Raza who loves guest blogging and content marketing. Currently, He is working as a digital marketing expert at Travangelo Flights, Ltd. You can catch him at Facebook and Twitter to learn more about him.